I had my child when I was 34. I was excited as I watch my firstborn grow, always referring to the motherhood book for tips and milestones to look out for. While my elders told me that each child develops at his own pace, I constantly look for potential red flags in my daughter's developmental progress. I soon learned that the range of normal is relatively wide. However, when my kid appeared slow to develop in her language and social skills, I decided to enroll her in a nursery class at 3-1/2 years old. With both parents working full time, I thought it was necessary to expose her to other children since there aren't much "stimuli" at home. I was praying that her new environment would help her "catch up" with other kids her age and that she would be alright. Do any of your children show significant lags in one or more areas of emotional, mental, fine motor, language, social, or thinking skills? Fret not. If your child isn’t catching up as quickly as expected, you can have him undergo Child Developmental Screening at The Medical City. 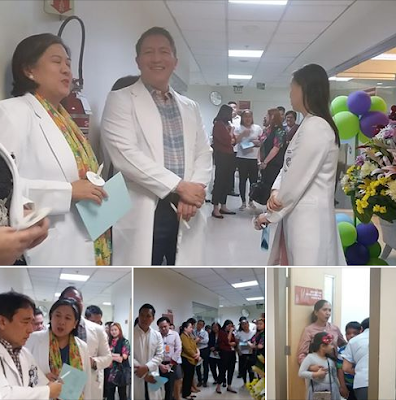 The Medical City Center for Developmental Pediatrics had its grand relaunch last March 20, 2018. 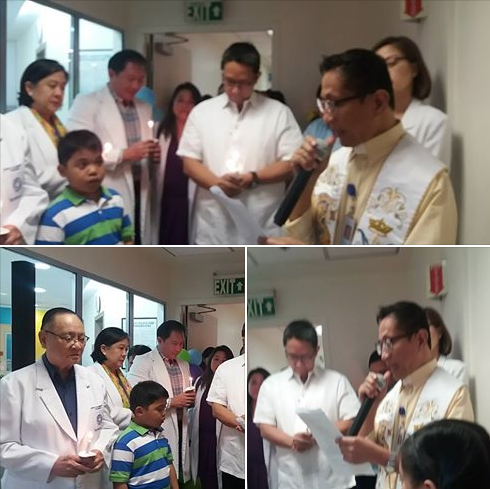 A ribbon cutting ceremony was held to kick off the occasion, followed by the blessing of the new and bigger CDP facility. 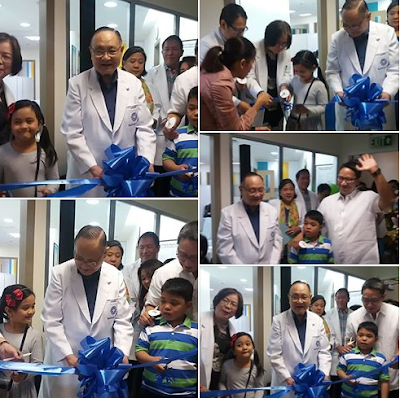 The guests were oriented on the Center for Developmental Pediatrics' history and milestones. It was followed by a testimony from a parent, whose child undergoes therapy at CDP. First time mom Cielo had a feeling that her baby exhibits developmental delay. She knew the developmental milestones by heart. At 9 months, a baby must be able to make a lot of different sounds like “mama” and must understand “no”, but her son does not make any sound at all even at 11 months. Delays may be early signs of learning and attention issues and so she was advised by her pediatrician to bring her child to a center that provides developmental screening. get her child evaluated to get a better sense of what’s going on. A friend referred her to the Medical City Center Developmental Pediatrics (TMC-CDP). The center is the first in the Philippines to offer routine developmental screening and monitoring for children 0 to 8 years old. CDP offers routine screening to identify children at risk for developmental and behavioral problems using standardized tools. While it can be “heartbreaking” to hear the results of an evaluation, it’s better to focus on next steps, routine screenings and ways to help in the end. Early identification of developmental disorders is important to the well-being of children and their families. Early detection is also the key to helping children develop their potential. Developmental Surveillance is a flexible, longitudinal, continuous and cumulative process where knowledgeable health care professionals identify children who may have developmental problems. Surveillance can be useful in determining appropriate referrals; providing patient education and family-centered care in line with healthy development, and monitoring the effects of developmental health promotion. Cielo said the CDP is like a one-stop-shop for her child’s developmental needs. The center’s other services include Comprehensive Evaluation and Diagnosis, Multidisciplinary Team Conference, Neuropsychological Evaluation, Therapy Services, Feeding Clinic, and Family Education and Support Service. The center’s specialists and allied medical professionals provide a complete evaluation of children with developmental or behavioral needs. The diagnosis and management of children with developmental or behavioral conditions are done by a multidisciplinary team of specialists. The CDP’s therapy services are designed for children who require services such as occupational, speech and physical therapy. Developmental Pediatricians lead the team of thse health care experts -- General Pediatricians, Developmental Pediatricians, Pediatric Gastroenterologists, Nutrition Consultants, Nutritionists, and allied medical professionals such as physical therapists, occupational therapists and speech pathologists. They have the expertise in the diagnosis and management of various developmental and behavioral conditions including autism, language disorders, attention deficit hyperactivity disorder (ADHD), and other learning-related disorders. Other specialists like child neurologists, geneticists, adolescent pediatricians, child and adolescent psychiatrists, physiatrists, otolaryngologists, ophthalmologists and orthopedic surgeons are also affiliated with the CDP. Moms or parents like Cielo who would want to have their children screened for any developmental problems should go to the CDP. You may call (632) 988-1000 / (632) 988-7000 ext. 6630 or visit www.themedicalcity.com for more information about the Center for Developmental Pediatrics.